Our primary mission is to support children in the Philippines through educational assistance programs. We are a 501 (c) (3) Organization / Public Charity as determined by the United States Internal Revenue Service. Our effective date of exemption was April 3, 2009. Feel free to verify our status as a non-profit organization on the IRS website. Through our network of volunteers, donors, and contacts, we’ve been involved with projects ranging from basic needs to education. While we are not a faith-based charity, we do welcome partnerships and cooperative agreements from all religious organizations. You can be confident that your donation will be utilized in the most efficient manner to directly support children in the Philippines. Just click on the donate menu button to see what we’re currently working on. We accept funds via credit card through PayPal. You can send a check to our mailing address as well. We even accept bitcoin! Your donation may be tax deductible so please retain your receipt for tax purposes. Per IRS guidelines: In general, an individual who itemizes deductions may deduct contributions to most charitable organizations up to 50% of his or her adjusted gross income computed without regard to net operating loss carry backs. More information is available at the IRS website on a page entitled Tax Information for Contributors. In addition, IRS Publication 526 specifically covers Charitable Contributions. As with any tax or legal issue, specific questions are best answered by your accountant or tax attorney. We provide the links for informational purposes only, to assist you with making an informed decision about donating. World Aid was founded by Mark (Marcos) Blackard in 2008. 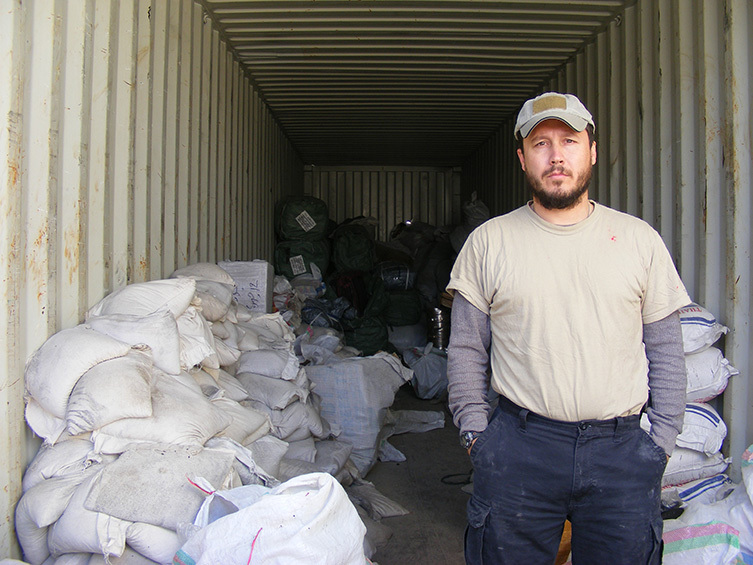 While working as a contractor for the U.S. government, Mark spent time in war-torn Iraq. There, he became involved with various humanitarian operations and ultimately decided to form his own charity. With the help of a few friends and family, World Aid for Homeless Children was founded. The initial focus was on providing basic-needs support to homeless children. Through funding from private donors, World Aid conducted charity operations in eastern Afghanistan for IDP’s (Internally Displaced Persons) and for Pakistani refugees fleeing fighting in the FATA’s (Federally Administered Tribal Areas). World Aid has now shifted its efforts to support children in the Philippines. Extreme poverty exists in the world today. There is no quick and easy solution to the problem. However, we all can play a small role in making the world a better place by doing something—by taking some type of action. For most people, that means donating money to charitable organizations like ours. For others, it can mean donating time and labor. Everyone who plays a role in our charity is a volunteer. No one here gets a paycheck. Our operational costs are minimal, so the majority of our donations directly support our projects. To me, that’s how a charity is supposed to operate. I assure anyone who donates to our organization that the money will be spent efficiently toward the cause. While the initial mission of the charity was on basic needs (food and clothing), I have made the decision to shift the focus to support educational programs for children in the Philippines. Specifically, we assist Anda Elementary School in Bohol Province and Hilantagaan Island Elementary School in Cebu Province, as our donations allow. If you donate money, that’s where it will go. However, it’s much more rewarding to collect school supplies or other much-needed items and ship them direct to the schools. Feel free to contact our local partners. Their information is listed on our contact page. You don’t have to go through a charity to do charity work. You only need a cause and some inspiration. While our focus is in the Philippines, I’m certain there are children in your local area who could use a helping hand as well. Take some type of action. You’ll be glad you did.